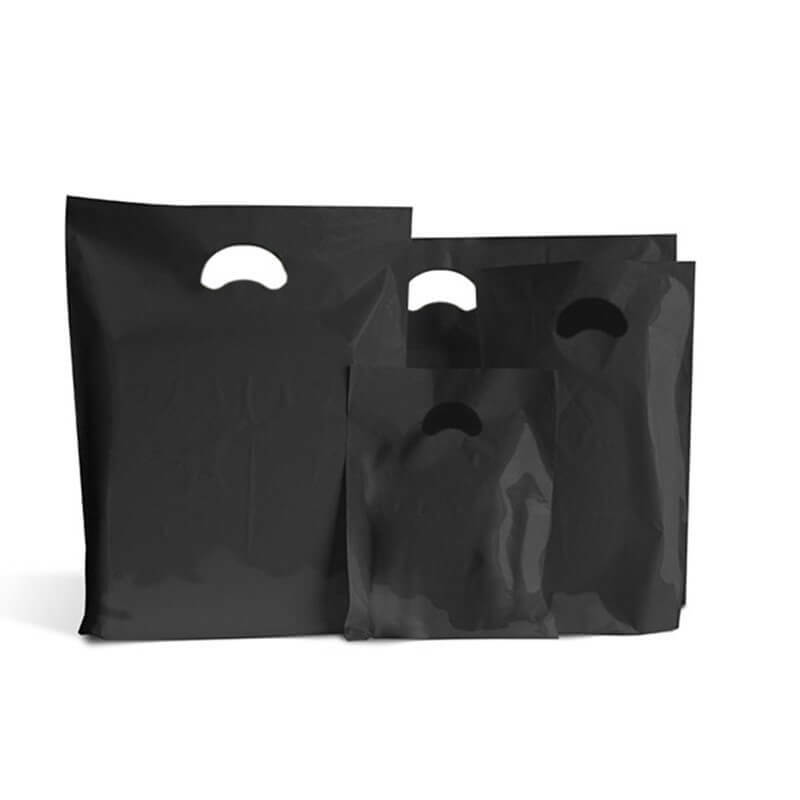 10" x 16" + 4"
22" x 18" + 3"
These Black Plastic Carrier Bags are part of our Classic Range of products, and have been one of our best selling carrier bags for over 10 years! They are strong and offer outstanding value for money too. 9" x 12" - this is perfect for CD's, DVD's jewellery and smaller items. 10" x 12" x 4"- Perfect for smaller items and gift boxes, and for accessory items like glasses, hats and watches. 10" x 16" x 4" - slightly larger than A4 and is perfect for booklets, brochures and more. 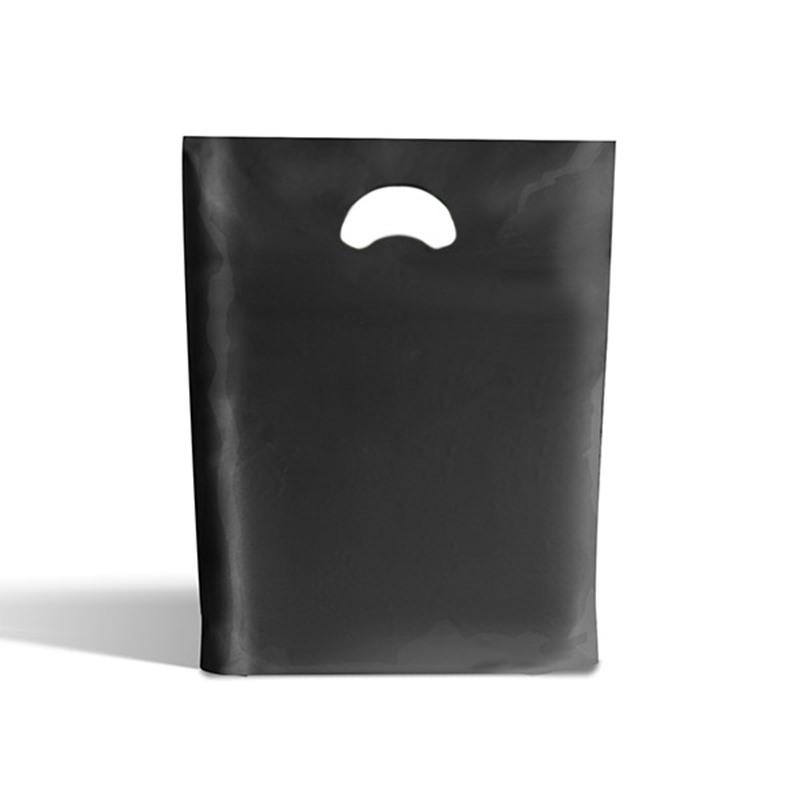 15" x 18" x 3" - the most popular and common size bag, ideal for most uses, clothing and gifts. 22" x 18" x 3" - this is our largest size bag that is more suitable for boxes, shoe boxes, boot boxes and the like. The thickness of the plastic varies from 180 - 210 gauge (45-52 microns) depending on the size which is perfect for most every day uses. They have a neat handle that is cut out at the top of the bags which is comfortable to hold. The bags has a small gusset at the bottom of the bag giving it a bit of depth for holding items inside. If you're looking for other colours then please click here to view the other 10 colours in the range! Don't forget to check out the great discounts on pack sizes of 1000 bags or more. If you've ever considered getting your logo printed onto your Plastic Carrier Bags then we also have a full design and print service for you. To discover about Printed Carrier Bags simply click here and complete and enquiry for, or call us on 020-3002-9960 and we'll be happy to help! Made from a LD plastic film. Punched out handles which are neat and look great. Bags are suitable to hold up to 3-5 kilos in weight (depending on the size of the bag). Picture is for illustrative purposes only, if colour is important please ask for a sample. 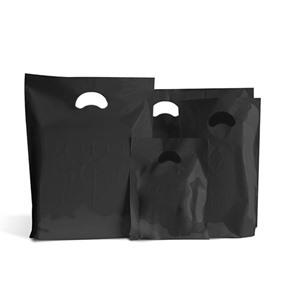 Our stock of Standard Grade Plastic Carrier Bags are great quality and value for money, we are able to overprint them with your chosen design. A simple 1 colour print from as little as 1000 bags.